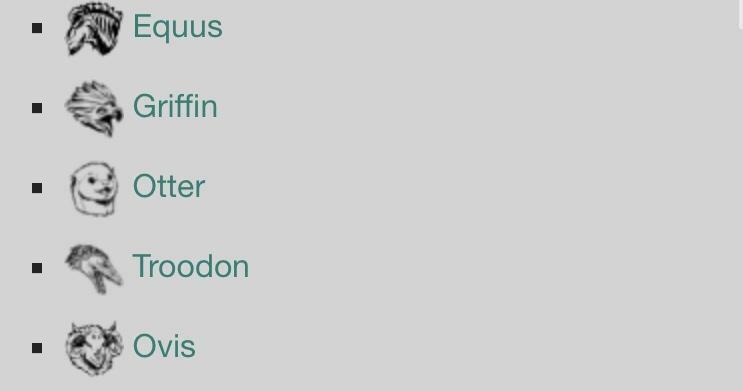 dearwardrum i was today on your official mobile ark wiki site and i saw upcoming creatures and i know already for equus ,otter and trodons but there is griffin on the list too is that true that griffin is coming to mobile too?? omg im so happy omg equus and griffin wardrum i love all of your team i will say all my friends to install game i love it moreeee ? So you will add griffin for the island or for ragnarok ???? On ark pc, griffin is ragnarok creature, is griffin the island craeture too? Chesch1 i know that they will spawn on fars peek cuz this what i wrote i long time a go i know how it looks and that there will be genders and they will be on singleplayer and that they will be tameable and that females are bigget then males so that means maybe we can breed them ? Wardrum just wondering if the update is coming in the next few days because I am going on holidays really soon and I want to tame one before I leave? Currently our next update is planned for next week. Is it earlier in the week or later in the week? If only I haven't hit my tame limit.